Wow! For over 30 years, Will Hancock Pest Control has been proudly serving North Mississippi and has rightly earned this week's Local Spotlight. We need to show this local business some LOVE as they deserve it. They have put together a helpful package to battle "pest season 2017", and can back it up with awesome reviews. 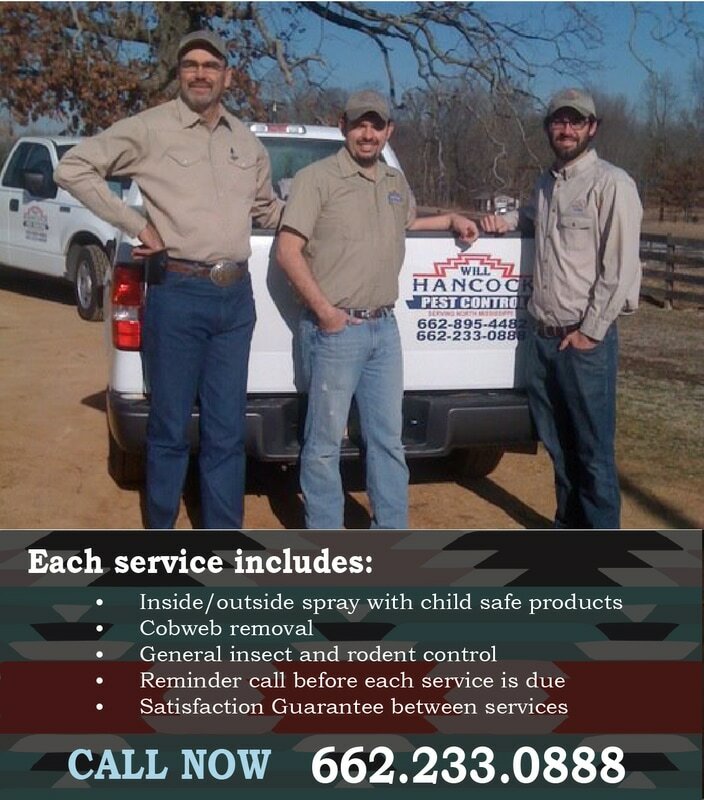 Serving all of DeSoto County and more, Hancock Pest Control is giving you more Bang for the Bug. Check out their facebook page, or call to schedule an appointment.